Can I make the deadline?! I am knitting like crazy. You might think it is because I have a new grandchild due at the end of the month. That is partly right. We are thrilled to meet our number six grandbaby. My bag is packed and my needles are flying to try to get his/her blanket done before the arrival. But there is more to this knitting marathon than a baby. We are in the middle of another deployment with a son who just so happens to be in Asia. Asia, a place that hit the news in the past few days with news of a possible nuclear test. Did I also mention my husband works in Korea? 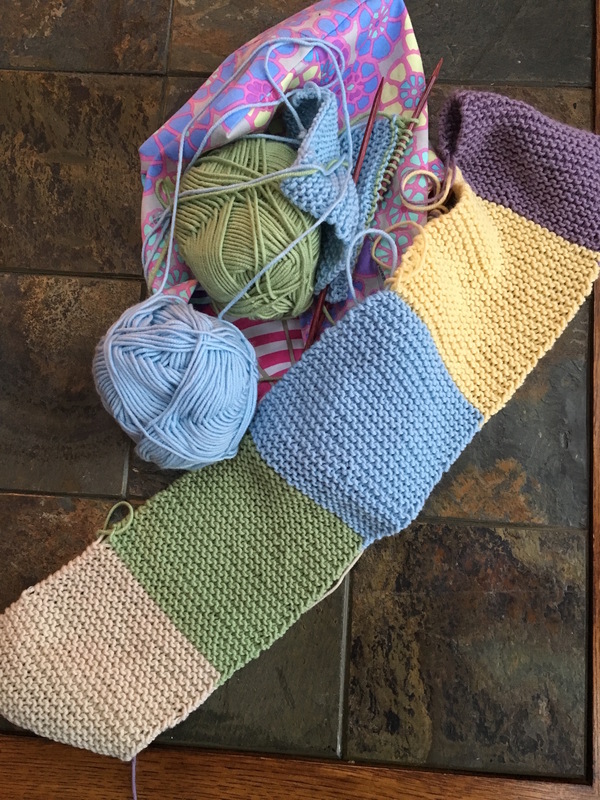 Every news bulletin sends me to my needles-knit a row and pray. It is one of the ways I divert worry into positivity. One thing I have learned after 15 years as a military mom-there are always reasons to worry. And those worries are not just focused on my own children. The recent death of a Special Forces soldier in Afghanistan is an example. My heart is heavy for him and all who love him. He is part of my extended family. The same is true as I just read about another suicide at Ft Hood. I do not know this soldier but I am so terribly sad. The battle against PTSD continues and I feel helpless as so many struggle. I can only pick up my knitting and pray for all who are fighting this battle. Why does any of this matter to me? Because I am part of the Sisterhood of Military Moms and this is all happening to “my family.” We share a bond of pride and pain. We worry together and celebrate together. Homecomings make us cry whether they are for another mother’s child or our own. Each casualty breaks our heart, whether it is from the battlefield or their own hand. 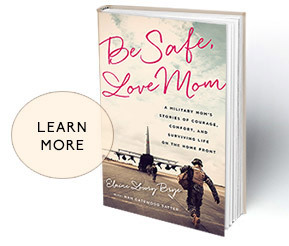 It’s not easy to be a military mom in a dangerous world. But we continue to press on-because that is what moms do. And we do whatever we can to hold ourselves together and wrap our families in love-especially sweet new babies. Keep on praying and knitting or what ever it takes to keep you strong. Thank you Elaine — again– for the light you continue to shine on our military guys and gals–all that you write is so true!